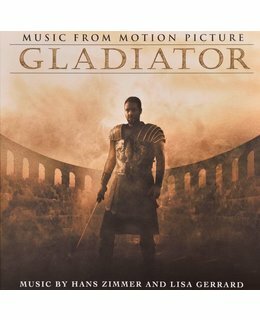 2017 EU repressing on 180g 2xLP= one of the best movie scores ever produced by the legendary Hans Zimmer, and Lisa Gerrard (Dead Can Dance). 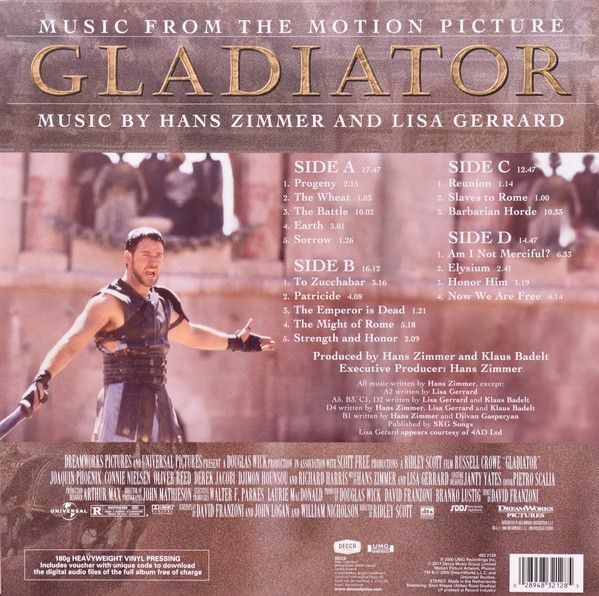 The album won the Golden Globe for Best Original Score and was nominated for the Academy Award and BAFTA Award for Best Score. 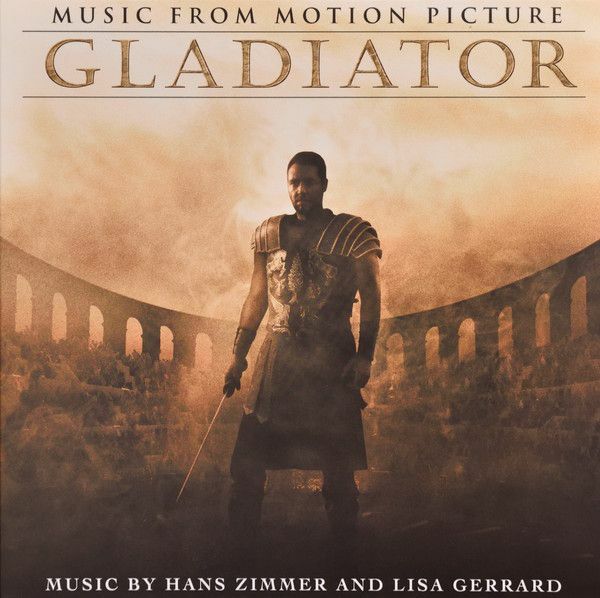 Hans Zimmer and Lisa Gerrard work together to bring a myriad of heart-pumping brass and percussion and ethereal music that is exhilarating and herculean! D1 Am I Not Merciful?